As of January 2nd of this year, Alpine Ear, Nose & Throat has had the pleasure of serving patients from our newest clinic in Cheyenne, Wyoming. We are proud to announce that we will be hosting our 1st annual free head and neck cancer screening event in our Cheyenne clinic on Saturday, February 16, 2019. The event will take place in office at 5320 Education Drive, Cheyenne, WY 82009 and patients may call to reserve their free consultation at (307) 202-9202. We welcome all individuals to the event, but encourage anyone with questions or concerns in regards to their ear, nose & throat needs to contact us for an appointment. Common concerns may include: a lump in your neck, spot on your skin, or the feeling of something in your throat. We are happy to consult with you and hopefully provide the answers and peace of mind you may be looking for. Alpine Ear, Nose & Throat has been serving patients in northern Colorado since 1991 from our two locations in Fort Collins and Loveland, but we are honored at this opportunity to serve our new community and hope to be able to reach as many people as possible. 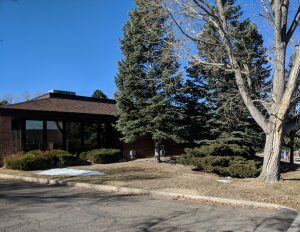 Our Cheyenne clinic is staffed with three of our experienced, board-certified physicians: Dr. Matthew Robertson, Dr. Stephen Wold, and Dr. Blake Hyde. Please feel free to contact us at (307) 202-9202 or visit our website www.AlpineENT.com for more information on our practice and services offered.